"When unaffected by culture, place, time, or circumstance, these principles are universal. They consitute the Great Vow." The truth that reflects the Ultimate reality does not represent the exclusive possession of one person, group, or spiritual system. God revealed this Supreme Truth to certain human beings, whom transmitted them to humanity orally or in the form of writings, according to the needs, temperament, level of consciousness and the degree of development of mankind in a certain moment. The divine messengers (named saints, sages, prophets, or initiates), regardless of the geographic space or religion, have enounced certain rules (guiding principles, or commandments), which allow human beings to feel and manifest the Universal Harmony, when respected. Thus, in the West there are the Ten Commandments, while in the East there are the Ten Rules of the ethical and moral plan (Yama and Niyama in the Hindu tradition). Such guiding rules are characteristic to any spiritual path. It is not a coincidence that in each case, there are ten such commandments, and nor that the inducement of these commandments is essentially identical, expressed only with a language specific to each civilization and tradition. This identity is based on the fact that behind these laws there is something unique and everlasting – God. In the Hindu tradition, we may distinguish two categories within these “Ten Commandments”: the first five commandments make up the Moral Plan (in Hindu terminology Yama) and the other five – the Ethical Plan (Niyama). These divine rules favor a specific state of resonance with the sublime energies in the Macrocosm, and make the human being act in accordance with the universal laws. In any spiritual tradition, there is an important note regarding the significance of reaching a state of harmony in one’s individual life, before moving on to more “advanced” techniques. Thus, before moving on, the novice is recommended to observe the rules. In truth, when observed, these rules may spontaneously lead to states of ecstasy. However, these rules are respected also by other people besides those engaged in a spiritual quest. To a certain degree, each human being observes at least partially some of these rules. But the one who is consciously and actively trying to find his/her spiritual path should try to transform them into inner convictions, into life-guidelines. Such an attempt requires total commitment, aspiration, perseverance and courage. Consequently, the first and most important stage is represented by harmony in one’s individual life, because this harmony is the foundation of the spiritual life. Regardless of the body’s harmony and vitality, regardless of the number of the techniques known and applied, the seeker will not meet any spiritual progress until his/her behavior refines. 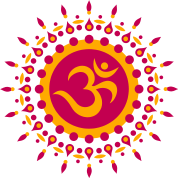 The Moral Code (in Hindu – YAMA) implies five rules of behavior in order to reach a state of profound equilibrium with the other beings. These five rules refer to the control of certain negative tendencies, frequently met in human beings. These rules are mentioned in the secret Eastern treatises as follows: non-violence, truth, non-theft, sexual purity, non-possession. 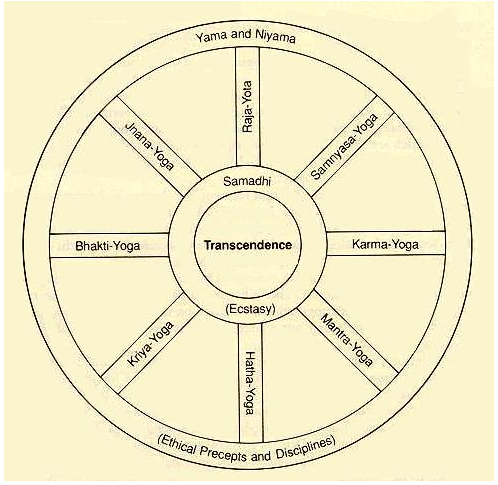 The Personal Code (in the Hindu tradition – NIYAMA) is based on the idea that external rules are sufficient for a truly deep transformation/change, and that the personality has to be restructured through a personal code involving other five rules. They refer to the perfect structure of our inner attitudes, emotions, and feelings. Consequently, they are rules of individual discipline and allow to the person who observes them to reach a state of equilibrium with one’s own person and purpose in life. The secret treatises mention them as follows: austerity, individual study, contentment, physical and mental purity, complete devotion towards God. It is important to understand that as long as we have not attained spiritual self-realization yet, we will not be able to observe perfectly these rules. However, it is also important to try constantly to observe them day by day. Making from these guidelines a true day to day practice, a living “barometer” of our presence and awareness in our actions, words and thoughts certainly improves our perspective on ourselves, as well as on what man can be – that is a perfect divine being! Behave in kindness, friendliness, compassion, and thoughtful consideration of all beings and things, as well as yourself. Practice conscious communication through speech, writing, gesture, and actions. Consider what you say, how you say it and in what way it could affect others. Take advantage of no person or situation for personal gain. Honor your sexuality and that of others. Create relationships that foster your understanding of the highest truths. Take only what you need and nothing more. Maintain cleanliness of body, mind and surroundings. Practice being comfortable with what you have and what you do not have. Embrace all experiences as opportunities to learn and grow. Increase the heat that burns impurities through practices that keep your body/mind fit and healthy: proper sleep, exercise, nutrition, work, and relaxation. Observe, read, study, practice, reflect, review and observe your progress so that you may see yourself more clearly. "Let go and let God." Attune to the all-knowing presence within you and allow that presence to direct your actions.